Given that the average baby drinks 6-8 bottles of milk per day, today's busy mom needs a safe and easy solution to prep each feeding quickly, especially in the middle of the night. Meet Munchkin's Speed™ Bottle Warmer, an easy-to-use steam bottle warming system that warms to baby-perfect temperatures in as little as 90 seconds. 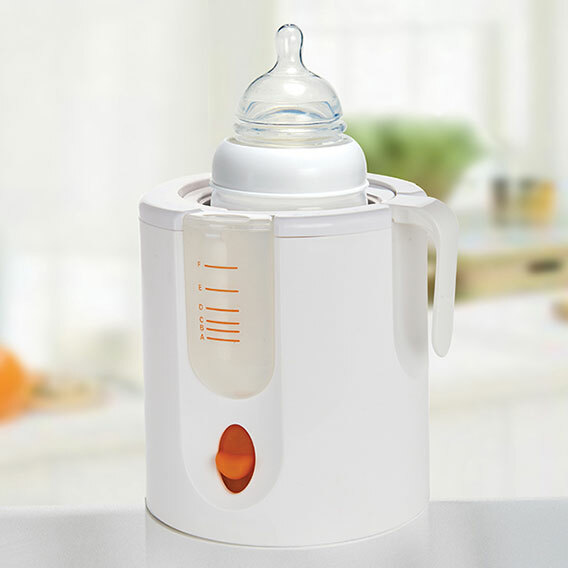 Safe for both refrigerated breast milk and formula, this efficient bottle steamer includes a convenient water measuring cup to ensure consistent warming, plus an easy-lift basket to remove bottles and food jars. Warm bottles in under two minutes? Baby will be happy, and so will you.